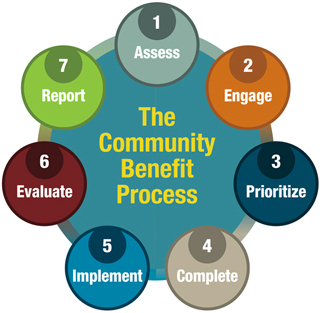 To implement the community benefit programs, it is helpful to develop a work plan or action plan. The work plan typically includes a goal, objectives and strategies. A broad statement of the overarching aim and desired result or outcome. A specific and measurable change as a result of the program implementation. The method, process or approach used to achieve the change. Also, consider including a timeline and assignment of responsibilities in the work plan, for the person, group or department who is responsible for program implementation. See a sample work plan that gives examples of a goal, objectives and strategies in the Implement Tools section. Evidence-based practice uses the current best evidence in clinical practice to guide health care decisions. In developing work plan strategies, consider examining what works best to address a priority health need.